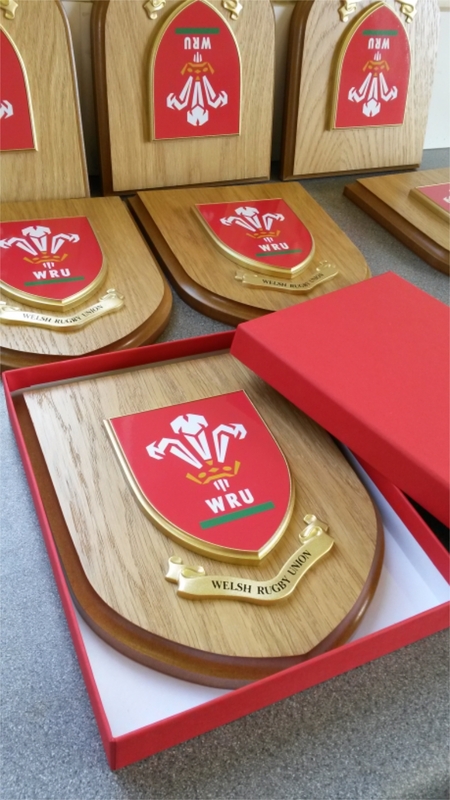 Another order from WRU last year for 100 standard shields, and 25 larger presentation plaques with bespaoke presentation boxes. These all to to used as persentation gits, and room left at the top of the wooden shield to fit a personalised engarved basss plate at a later date. 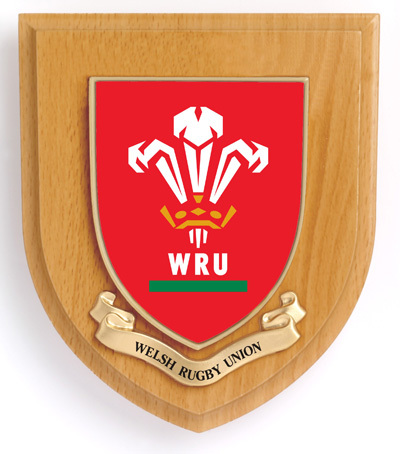 Rugby League or Rugby Union – what’s the difference?